Marvin Alberto Pineda is an Attorney-at-Law and Notary Public and has a Master’s Degree in Tax Law. For years he functioned as Sole Director and Legal Representative for Tourism Companies, directing the entire financial, commercial, corporate and legal areas. 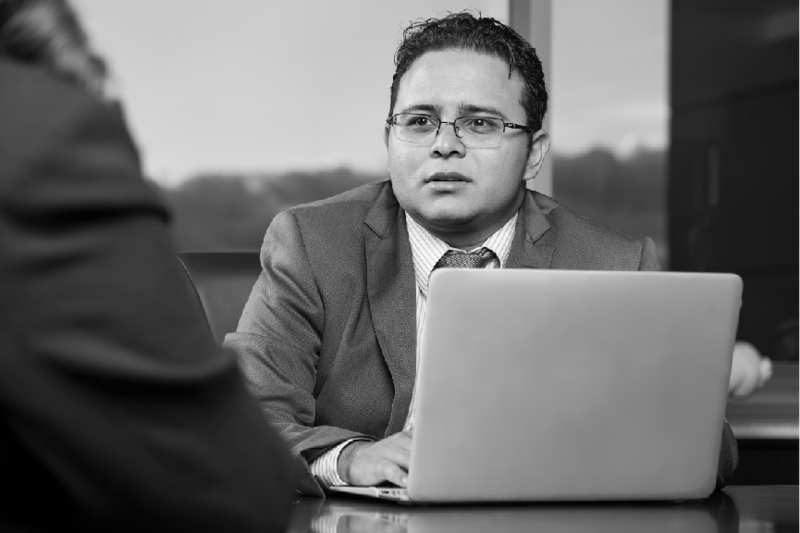 He has experience as a litigant due to the time he spent working at financial institutions, especially in the different execution proceedings, labor, criminal, and intellectual property trials. Passionate for Academia, he is firmly convinced that a change in the country can only be achieved through committed professionals with principles, and as a follower of iusnaturalism, he believes that a society with justice will be a society at peace. Upon becoming part of Alegalis, he is one of the lawyers of the criminal field, practicing his lex artis in the design of strategies and follow up of the company’s criminal cases through the proprietary proceedings of said field, as well as the constitutional ones, especially through actions for infringement of fundamental rights and freedoms. Licentiate Degree in Juridical and Social Sciences. Attorney-at-Law and Notary Public. Passed professional exams, both public and private areas, with an honorable mention. Closed curriculum of MSc in Tax Law. Dissertation proposal approved: Economic analysis of taxation based on the Nash equilibrium.